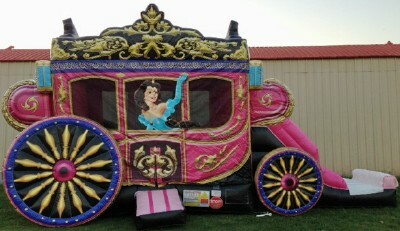 Ideal for all Princess Parties! 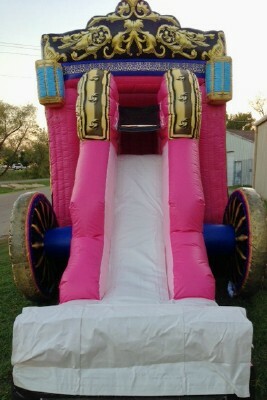 Kids can bounce in this unique bouncer and then climb the stairs and escape the Carriage by sliding down the slide. 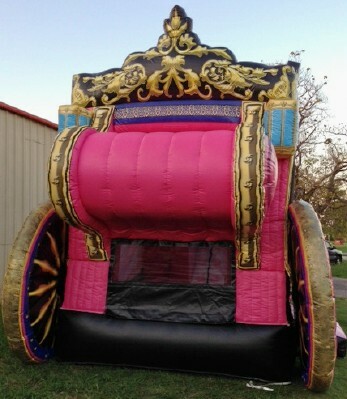 This carriage is a very large piece with a lot of detail and fun for any Princess! 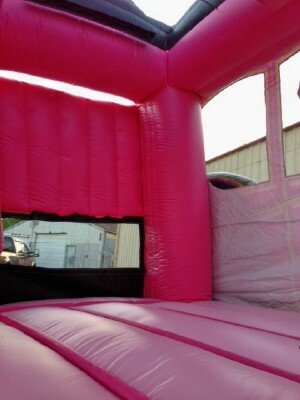 Inflatable is picked up at our warehouse between 8:00am - 9:00am and returned the same day between 7:00pm - 8:00pm. We schedule a delivery and pickup time. Price includes delivery, setup, & takedown. We do all the work for you! This Delivery Price is reflective of deliveries in the city of Muskogee, Ft. Gibson, Okay, & Keefton. 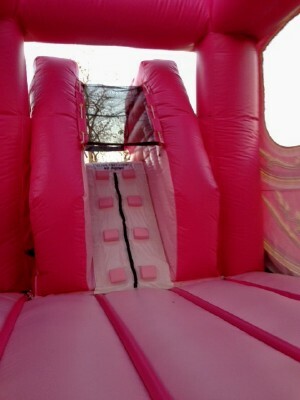 We deliver to other cities but addittional fees apply. Call for more info. * Price does not include tax!